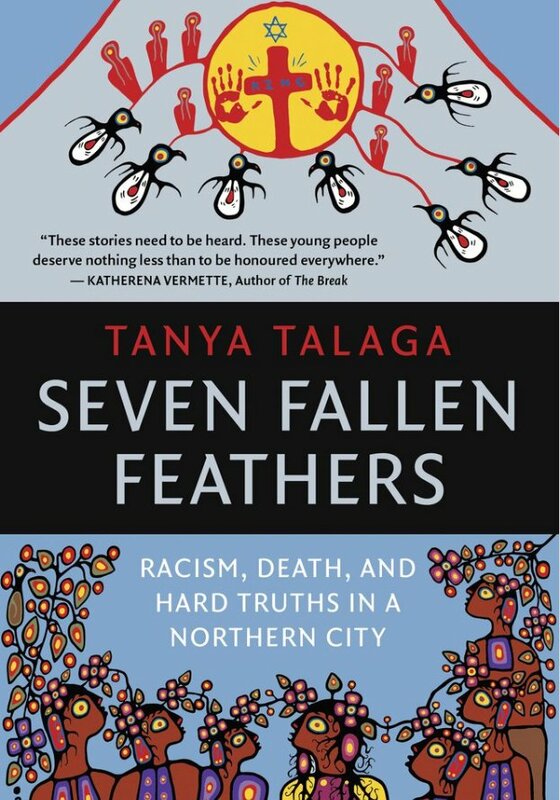 The book “Seven Fallen Feathers: Racism, Death, and Hard Truths in a Northern City”, by Tanya Talaga, an award-winning investigative journalist who specializes in Indigenous affairs, is a finalist for the Hilary Weston Writers' Trust Prize for Nonfiction. The author of the winning book receives $60,000 (with finalists each receiving $5,000) and the announcement will be made on Nov. 14. The other finalists are Ivan Coyote for “Tomboy Survival Guide”, published by Arsenal Pulp Press; Kyo Maclear for “Birds Art Life”, published by Doubleday Canada; James Maskalyk for “Life on the Ground Floor: Letters from the Edge of Emergency Medicine” also published by Doubleday Canada; and Carol Off for “All We Leave Behind: A Reporter’s Journey into the Lives of Others” by Random House Canada. The prize is awarded for literary excellence in the category of nonfiction, which includes, among other forms, personal or journalistic essays, history, biography, memoirs, commentary, and criticism, both social and political. Finalist works will demonstrate a distinctive voice, as well as a persuasive and compelling command of tone, narrative, style, and technique. The Prize itself was named for Hilary M. Weston, who served as the 26th lieutenant-governor of Ontario from 1997 to 2002. She led Renaissance ROM, the largest fundraising campaign in Canadian cultural history, transforming the Royal Ontario Museum in Toronto. She serves on the board of the Art Gallery of Ontario and the Aga Khan Museum. She is also Chair of Prince’s Charities Canada. Weston is a director of Wittington Investments, the family holding company, and Selfridges Group; and is a member of the International Advisory Board of Sotheby’s. She has served as deputy chair of the board of Holt Renfrew, promoting Canadian designers in the retailing business.